For your next vacation, join our Southern Japan Tour through Kyushu and Shikoku, where the natural beauties of Japan remains untouched. Start your vacation in Osaka and travel through the southern islands while seeing the best of Himeji, Hiroshima, Miyajima, Beppu, Matsuyama, Takamatsu, and Tokushima. Let the natural wonders of Beppu's Tour of Hell and the Naruto Whirlpools awaken the nature lover inside you. Enjoy touring through all the best attractions during the beautiful summer season, when things got hot but the scenery is even hotter. A perfect trip for someone who wants to see more to Japan than Tokyo and Kyoto, our Southern Japan Tour is geared towards anyone looking for a great time. You can also extend your vacation before / after the tour in Tokyo, Osaka, and Kyoto. Let the natural wonders of Beppu's Tour of Hell and the Naruto Whirlpools awaken the nature lover inside you. Enjoy touring through all the best attractions through the southern region, a place not all tourists get to enjoy. 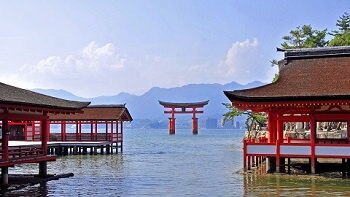 A perfect trip for someone who wants to see more to Japan than Tokyo and Kyoto, our Southern Japan Tour is geared towards anyone looking for a great time. You can also extend your vacation before / after the tour in Tokyo, Osaka, and Kyoto.